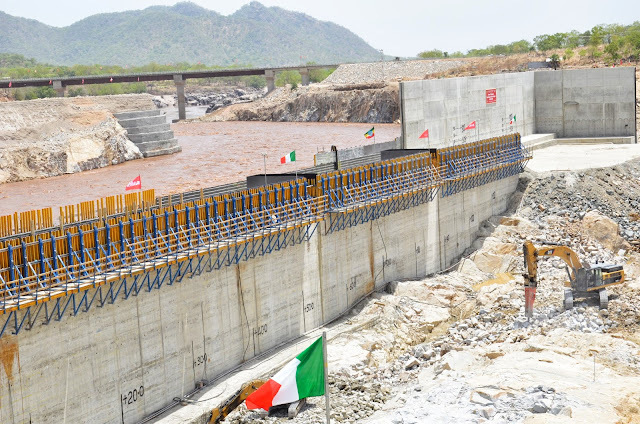 July 7, 2013 — The Ethiopian regime has moved several surface-to-air-missiles (SAMs) 5km (3 miles) near the Grand Ethiopian Renaissance Dam (GERD), in what is a clear sign of military escalation with arch-foe Egypt. The placing of SAMs near the GERD comes amid Egyptian opposition leaders, who now make up the majority in the new Transitional Government after the ouster of Morsi, suggested in sabotaging the dam on live television. "I think by placing these weapons near the dam, the regime is signaling to Egypt that it's in no mood to compromise and will continue with its unilateral policies", said a professor in Addis Ababa who declined to be named for fear of reprisals. He added, "The danger with TPLF's latest bravado is it's forcing Egypt into a corner, making them more likely to utilize their air and ground superiority; especially since their country's existence is at stake." Recently, reports surfaced that Addis Ababa was in negotiating for the possible delivery of 18 Su-30K fighter jets to Ethiopia, in what many observers see is a knee-jerk reaction to Egypt's threats of military action. Meanwhile, Air Marshal Reda Mahmoud Hafez Mohamed, the Commander of Egyptian Air Force, is reportedly preparing his forces for possible air strikes against Ethiopia sometime by September 11, sources familiar with the situation have disclosed.